Home » Blog » Garfield’s Defense 3 Diet Fight! 30 JunGarfield’s Defense 3 Diet Fight! 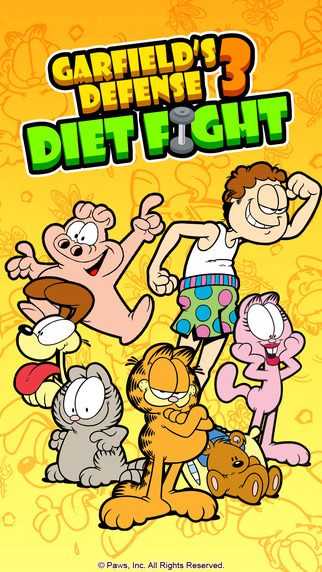 Web Prancer is proud to announce the launch of Garfield’s Defense 3 Diet Fight! Help Garfield and his friends in their never-ending battle against foodie abominations! Fight Junk Food Monsters with Garfield, as he struggles to lose five pounds in this addicting role-playing and match-three puzzle game! Match three or more tiles to launch powerful attacks. The more you match, the stronger your attacks are. Some combos have varying effects! Customize your party and choose from Garfield’s friends, all of whom have their own special skills. Help Garfield and his friends fight these monsters and lose weight! And show Jon who the REAL boss is around here!